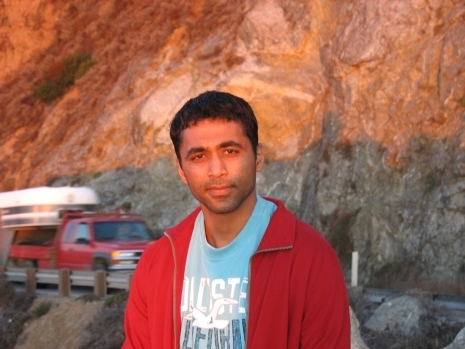 Jayaprakash Pisharath is currently employed as a researcher at Intel Corporation. He is a Ph.D. graduate (2005) from the Electrical and Computer Engineering department of Northwestern University. For his Ph.D., he worked primarily on the design and optimization of next-generation systems for data intensive applications, under the guidance of Prof. Alok Choudhary. He was core developer of the data mining benchmark, MineBench. His subsequent work involved the performance characterization and hardware acceleration of the key "kernels" (extractable components) of data intensive applications. Jay also collaborates with the CSE department at The Pennsylvania State University and MRL at Intel Corporation. The projects involve development of energy and performance efficient micro-architectural techniques to address the demands of future applications and workloads. Jay received his MS in Computer Engineering also from Northwestern University in 2002, and BE (Hons.) in Computer Science from Birla Institute of Technology and Science (BITS, Pilani, India) in 2000. He has worked for Novell Corporation, Alcatel and Wipro R&D. Jay's primary research interests include computer architecture, analytical performance modeling and characterization, high performance systems design, parallel and distributed systems, embedded systems, energy-aware system design, data mining, data layouts and databases. Last update 04/11/05 by Jay. Copyright © 2005 Alok Choudhary. All rights reserved. Designed by Q at qingshuo.net.